Moving in the direction of other companies who are producing figure sets, this one from Dragon has the ability to do six different figures. This is because of a new sprue that includes two additional sets of legs; these in long pants as opposed to the sets' standard shorts. 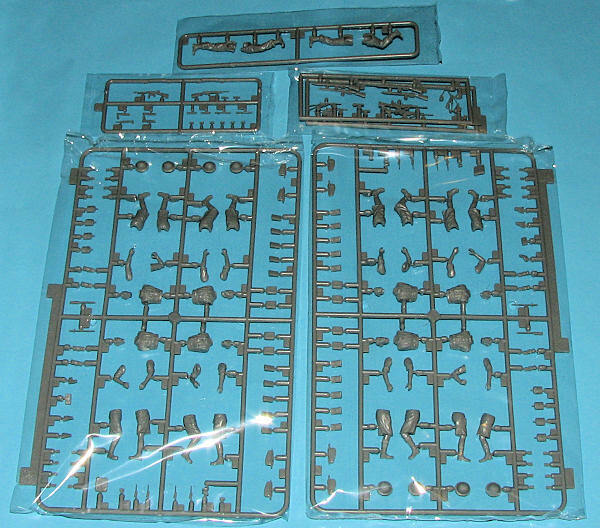 Dragon provides two full sprues of four figures each as well as three sprues of weapons. By doing this, it provides a number of options to individualize the figures. I have to assume that a total of 8 figures can be done from what is provided, two of them being duplicate poses, despite the box cover stating 6 figures. Regardless, it will be nice to have the spares if so desired. As with all Dragon figure sets, the molding is superb. No assembly instructions are provided, but the painting diagram shows both front and back of each figure, showing where the parts go in addition to the color. Color references are Gunze and Model Master paints. 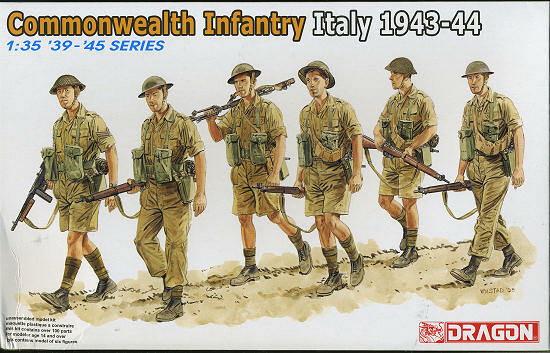 It is nice to see these Mediterranean theater figures being done as it opens up a whole new area for many modelers. My thanks to www.dragonmodelsusa.com for the preview set. Get yours today at your local shop or on-line store.